Drake and Oliver El-Khatib premiered their OVO Sound Beats 1 show on Apple Music this afternoon, and traded mixes for a mini-soundclash. There were a few premieres, remixes, and unexpected choices, and we wrote them all down. There was also a great closing mix by Houston producer Eric Dingus, but the track info didn't appear in the iTunes dock, so guess what? That information is lost to the world, like tears in the rain (unless he posts it on his Soundcloud). 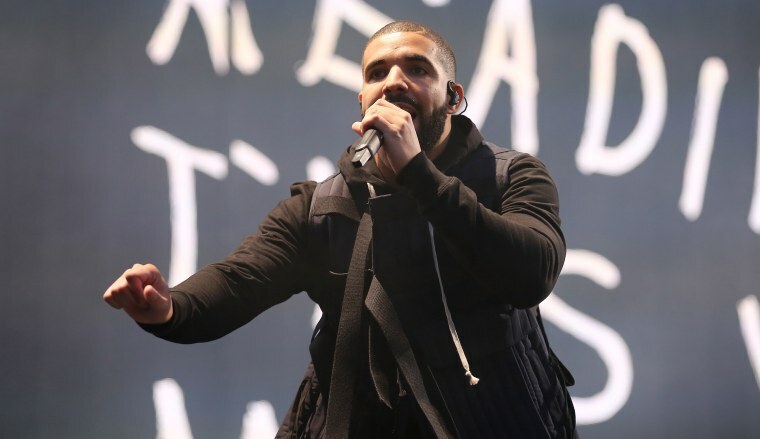 Check out the track list below, and listen to the three new Drake tracks here, here and here. Jack U feat. Justin Bieber, "Where Are U Now"
Popcaan feat. Mavado, "Everything Nice"
Wizkid feat Drake & Skepta, "Ojuelegba"
Krept & Konan feat. Jeremih, "Freak Of The Week"
Zonaman feat. Future and Lil Durk, "Mean To Me"
Travis $cott feat. PartyNextDoor - "Antidote"
Meek Mill feat. Travis $cott, "Miss My Dogs"
Meek Mill feat. Drake, "R.I.C.O"
Meek Mill feat Future, "Jump Out The Face"
JME feat. Giggs, "Man Don’t Care"
Roy Wood$ feat. Drake, "Drama"
Majid Jordan feat. Drake, "My Love"